Over 12,000 helicopters were used in the Vietnam War, which is why it became known as 'The Helicopter War.' Almost half of the helicopters, 5,086, were lost. Helicopter pilots and crews accounted for nearly ten percent of all the U.S. casualties suffered in Vietnam, with nearly 5,000 killed and an untold number of wounded. 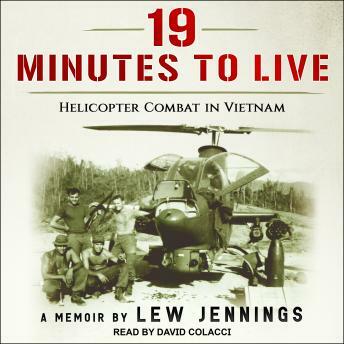 Lew Jennings flew over 700 Air Cavalry Cobra Gunship Helicopter missions and received three Distinguished Flying Crosses for Valor. Great book! He made you feel like you were watching the action unfold right in front of you.